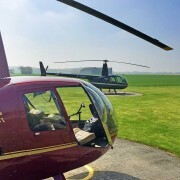 Hields Aviation owner Rob is often asked by student pilots why we use the Robinson R44 for helicopter flight training in Yorkshire, rather than the cheaper to buy R22 two seat model. Student pilots often gravitate initially to the Robinson R22, but Rob believes the R44 is a better option. 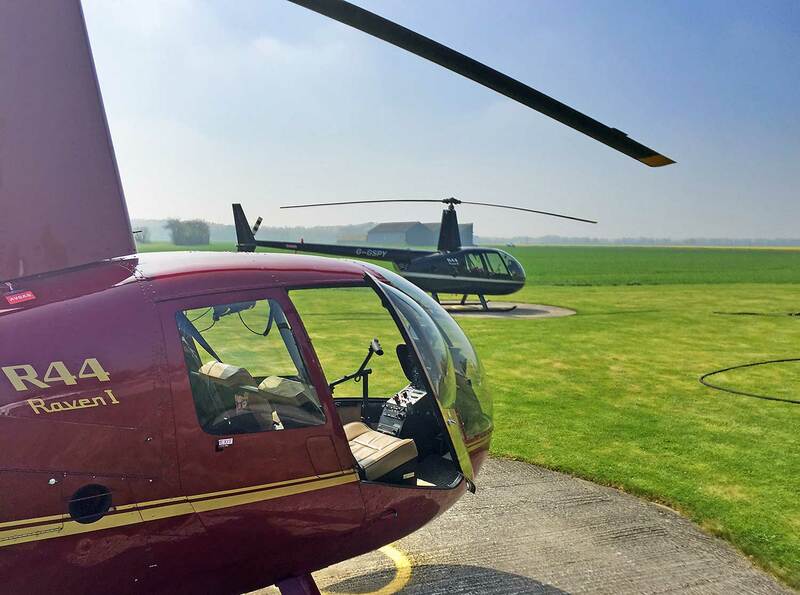 There are several reasons why, so here are Rob’s views on why the R44 is the preferred training helicopter for Hields Aviation. You’ve flown Robinson products for years, Rob. But why the R44 in particular? The reason is simple. The R44 has a great safety record compared to the R22. 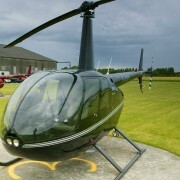 Although Frank Robinson is very proud of both products, he never designed the R22 as a basic training helicopter, it simply evolved because it was much cheaper to operate than older, established aircraft such as the Bell 47 or Hiller 12 series or even the 3 blade, slow and ugly Hughes 269. But isn’t the R44 more expensive to operate? The R44 has higher hourly running costs, yes. But it’s easier to handle, especially in stronger winds. Plus most private pilots will wish to carry passengers once they’re suitably experienced so it makes sense to train on a machine you’re likely to want to fly after you’re qualified. If you consider that most pupils obtain their PPL(H) with Hields in under 55 hours on the R44. The national average on the R22 is 70 hours, plus completion on the R22 will still require an additional type conversion course to qualify to fly the R44. 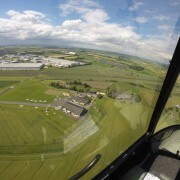 Add in the fact that at our Sherburn headquarters, there are no wasteful transit flights to training areas, or lengthy holds awaiting clearance for flight and our philosophy of R44 training makes perfect sense. 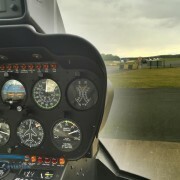 What other benefits are there on learning on the R44? There are others. 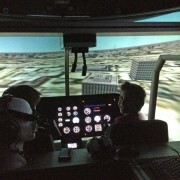 For example, as you progress, it helps to be able to sit in the rear and observe other pilots flying. After landing, we often have three way debriefs and discussions with students and both parties find it very useful. Additionally, when practicing cross country navigation exercises, student pilots can ride along with others and gain valuable experience of learning routes and air traffic procedures. What about the new Gumbai Cabri? It looks like a great helicopter. Perhaps as they get more established I might take a look at what is available. Helicopter training always comes down to cost vs benefit. 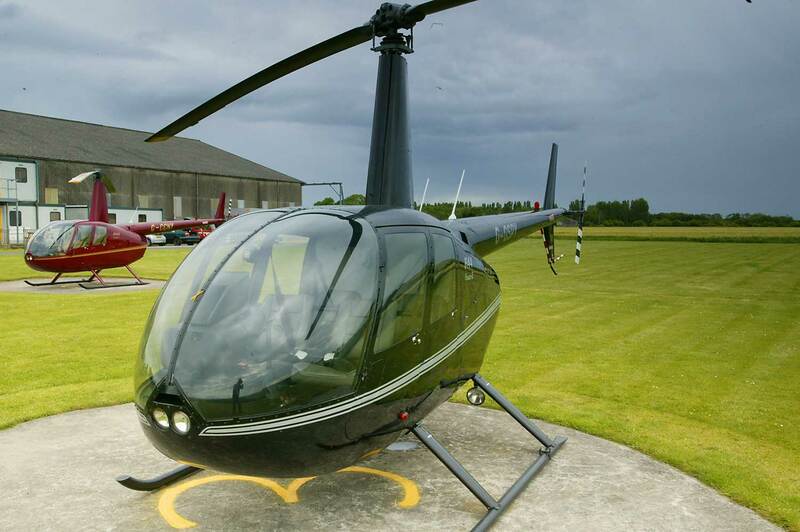 For me, right now the Robinson R44 with it’s four seat versatility is unbeatable in it’s class.